Just having some fun with Mozilla Webmaker’s Thimble, which makes everything completely remixable. Haven’t tried Thimble out yet? Give it a shot. 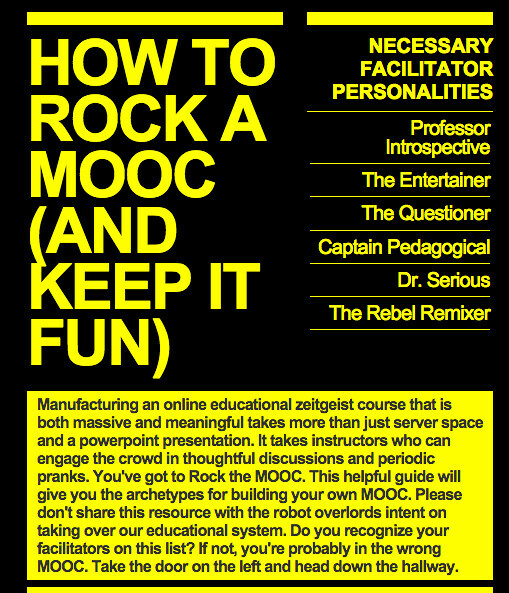 Remix my How to Rock a MOOC. It’s yours to mess with. Hey Kevin. We’re doing the 5 Habits of Creative Teachers again starting next Monday. We were wondering if you would like to be our guest for a Google Hangout on Remixing on October 28, if your schedule permits. Lemme know what you think. I sent a note on G+ but I am unfortunately not available, Cathleen! Sorry.